By the year 1999, they were all over the place. Despite the much-expected transition from military rule to multi-party democracy, members of the Nigeria Armed Forces, both serving and out of regular service, were at the driving wheels of the electoral process. From zoning the 1999 presidential election to the Southwest through the presidential primaries up to the main election, decisions as to who gets what and from where were taken by the old brass hats. What has come to be known as political impunity could be said to have started from the quasi-democratic role played by the band of retreating military officers. In fact, one of them, Chief Olusegun Obasanjo, later emerged as president in the Fourth Republic. Social commentators and public intellectuals excused that intrusion on the basis that they were entitled to that seeming soft-landing in order not to dispose them to a sudden change of mind to truncate the transition programme. Based on the foregoing, it could be rightly said that the military engineered the emergence of one of their own, Obasanjo, as the candidate of Peoples Democratic Party (PDP) against Chief Olu Falae, the rival presidential standard bearer of civilian electoral understanding between Alliance of Democracy (AD) and All Peoples Party (APP). In line with that strong influence of the former military officers, particularly retired Generals, Obasanjo rounded off his eight years in office by single-handedly enthroning the joint presidential ticket of then Katsina State governor and the late Alhaji Umaru Musa Yar’Adua and Governor Goodluck Jonathan of Bayelsa State in 2007. Even in 2010 when Yar’Adua died, Obasanjo was still looming large on the horizon and thus helped to galvanise support for the former vice president to transit to the office of acting president based on Yar’Adua failure to transmit his travel arrangement or sanction his deputy to serve in acting capacity while he was away.Yet again, in 2015 at the point when it was due to see Jonathan out of office, having fallen out of favour with the retired Generals, Obasanjo was prevailed upon to serve as the rallying point and navigator for the opposition. By 2019 the wheel of democratic governance had run full circle, because while the former military officers succeeded in enthroning another president from their fold in 2015 in the person of President Muhammadu Buhari, his decision to seek another term in office despite declining health and performance left them divided. One of the salient features of 2019 general election is therefore the perceived failure of retired generals to unite as they used to and dictate the direction of the election or even determine the eventual winner of the presidential election.What went wrong? Are Nigerians witnessing the waning influence of retired generals or has the country’s democratic practice matured to the extent that voters could call their bluff and activate their civic rights in independent choice during balloting? Could it be that the former soldiers have lost bearing and ideas or suffering from lethargy caused by electoral reforms or have been subordinated to civil processes by successive electoral cycles? In the effort to find answers to these puzzles, The Guardian sought the views of stakeholders, especially politicians, lawyers and academics. Onuoha stated: “We may have had situations where the likes of Gen. Abdulsalami Abubakar in the guise of transition programme foisted Obasanjo on the country in 1999. Nigerians allowed it because of the belief that there was need to return the country to civil rule. Obasanjo took over and after eight years, gave power to Yar’Adua. Certain centrifugal forces about politics contributed to the success of those plots. “These include the fact that power needed to spread across the geo-political zones, starting with the West, because of the death of MKO Abiola, who lost his life to enable the country have civil rule. It was basically to quench the uprising and compensate the Southwest that the move to install Obasanjo was supported by Nigerians. “Then, in order to have a smooth transition and not to disrupt democracy, which was at fledgling stage, the people also supported for power to be returned to the north as mooted by the then ruling party, PDP, which happened to be the party that produced the president. Obasanjo was used to achieve that desire, when he anointed Yar’Adua and later Jonathan, who emerged from the minority tribe, but aided by the fact that he was already the incumbent Vice President. Also, a lawyer and Enugu State Chairman of the Social Democratic Party (SDP), Mr. John Nwobodo, agreed that the influence of the retired generals existed only during the transition period and not any more. His words: “The outcome of an election is not determined solely by any class or category of citizens. It is the interplay of the various interest groups, the retired generals inclusive that determine the outcome of elections. 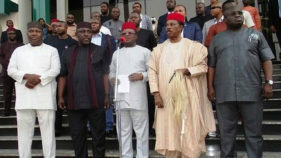 I think there is over-estimation of the influence of retired generals on Nigerian politics. Among the retired generals, it is only a tiny few that can be said to command measured and reasonable influence. In this class are former heads of state. However, their influence is narrow, restricted and limited to their geographical locations. 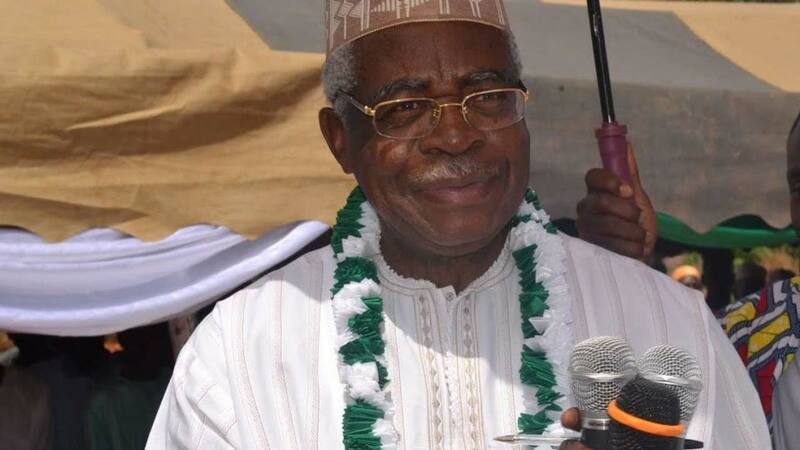 Igwe’s views were supported by a political analyst, Olaleken Ige, who maintained that the influence of retired generals in the polity could not be wished away irrespective of the victory of President Buhari in the recent polls. Ige explained that contrary to all previous elections beginning from 1999, the retired generals and other military officers were merely divided among themselves over the choice of President Buhari, who is a high profile member of that class and PDP’s presidential candidate, Atiku Abubakar, who is a friend of a lot of military officers. Ige added that it would be perilous for anyone to underestimate the influence of the retired generals, who still have their political godsons in the National Assembly and as state governors, remarking that because some of them did not succeed in ensuring the success of Atiku does not mean that they are no longer relevant. However, for Mr. Williams Wodi, each democratic transition since 2003 has continued to diminish the influence of the retired generals and other military officers in the political space. Wodi argued that the retired generals and their cohorts in the military, who mid-wifed the return to democracy in 1999 had initially designed it to usher in Latin American-style democracy, which they could still control from behind the scene. Unfortunately for this class, he said, the emergence of late President Umaru Musa Yar’Adua and President Goodluck Jonathan furthered distanced them from the democratic space, pointing out that irrespective of their vehement opposition to the desire of President Buhari to seek a second term, he contested and won. To this end, he stressed that this singular act has further depleted whatsoever influence the group had in the democratic order. Wodi added: “The more we move from one democratic government to another, the more the military class has been shifted from the democratic space. Though some of them had found their way through the backdoor to the senate, but it is still glaring to all that 20 years of interrupted democratic rule has dealt a blow to the retired generals. They are no longer a cohesive power group they used to be. The democratic train has no space for them. Similarly, a chieftain of All Progressive Grand Alliance (APGA) in the Southwest, Dr. Samson Olalere, said: “The fact is, the average Nigerian is becoming much more politically aware. It is now glaring that military era is over, and Nigerians have discovered that the ex-military men are self-centred and only defend their selfish interests. This realisation has made Nigerians to take the bull by the horns and decide who leads them. More so, the ex-military leaders have lost influence among the new crop of officers, having lost touch and control. Above all, the era of military dictatorship is gone and military takeover of rulership is no more in vogue. It was the threat of military takeover that the ex-military officers used to influence, who gets to power previously. “Now that their influence has been eroded among the new crop of officers, such threats do not work again. The present crops of officers are quite comfortable and are not ready to risk the known for the unknown. Level of political awareness is becoming increasingly high with each electoral process in Nigeria.”Describing the development as a good omen, the Secretary of National Association of Public Affairs Analysts (NAPAA), Comrade Jare Ajayi, said democracy has taken root in the country, noting, further, “As happened in some countries, where democracy is taking or has taken root, the early years after a national trauma is always characterised by a lot of military imprimatur. “But as years go by, the palpable influence of military generals begins to reduce. United States of America is a typical example here. Same can be said for Nigeria. After a near-traumatic period of military rules, the top echelons of the army, including the retired ones among them, had perceptible hands in who governs Nigeria on returning to civil rule in 1999. A constitutional lawyer and civil rights activist based in Lokoja, Kogi State, Barrister William Aliwo, believes the waning influence of the military should be viewed from previous experiences of democracy, which he said were offshoots of military regimes. Aliwo asserted that the new experience coming from prolonged democratic rule has given the civilians a longer opportunity to get exposed in the political circles, stressing: “Their involvement in politics over the years has made many of the civilians to be more financially endowed. Don’t forget that most of the endowments of the Nigerian millionaires and finance gurus are derived from their relationships with government. “So, it has offered civilians a bigger opportunity to get more exposed to management of public institutions and politics, knowing fully well that for almost 20 years the military had been disengaged.”According to the legal practitioner, the retired military officers are now somehow subservient to civilian structures. So, it is not out of place that more and more civilians are getting more involved in politics as against the military that is already being shoved aside in the management of Nigerian affairs. He said the image of the military seemed to have been battered because it was still partially involved, adding, “It is the level of engagement that has gone down. If you remember what happened in the election in Ekiti State that brought Ayodele Fayose in, you know that their involvement in politics is not new. “Based on the involvement of military in the 2019 election and the ensuing outcry it means the military would know that their involvement in politics is no longer needed and political actors should also learn that they don’t need arms to win elections as politics is not war. “So long as politicians see politics as war and engage arm-carrying thugs, definitely the security and decency of political practice is at stake and the integrity of our country, as a democratic nation would also be at stake and before long the military would be involved too. 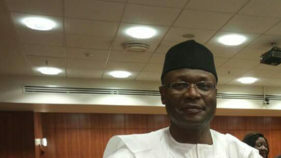 Meanwhile, a public commentator and constitutional lawyer, Barrister Joel Usman, observed that prior to 2019 general elections, a majority of the retired generals were in agreement as to the choice of their candidates, which is not the case now, as they were sharply divided as to the choice of President Muhammadu Buhari in 2019. Usman said: “There’s a disconnect between the military in service and the retired officers wherein those in service seem to prefer Buhari, whereas the retired officers wanted him out. The retired military officers actually gauged the pulse of the nation, but the outcome of the election seems not to reflect the will of the people.”Usman said there was never a time that retired officers attempted to oust a retired officer, who is an incumbent. So, the incumbency factor of a retired officer was a major factor, he noted. 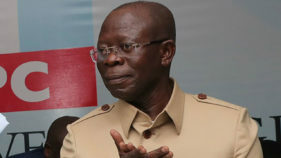 He said from every indications, it is obvious the military is still actively involved in politics in Nigeria under the current administration, which he noted as dangerous, adding: “The court has consistently maintained that the military has no such role in elections, but what do you expect from a government that picks and chooses which order or judgment of courts to obey?